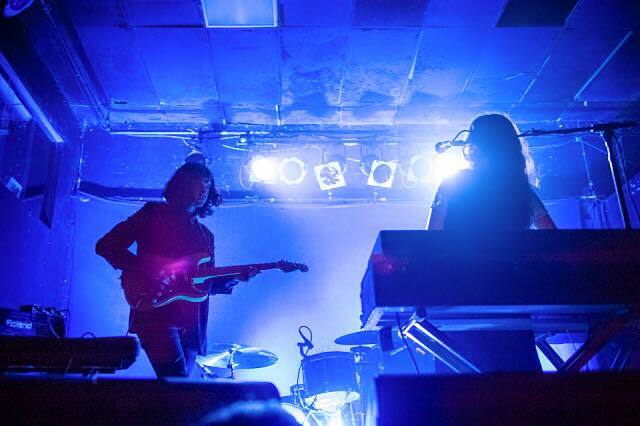 Beach House is no stranger to playing its psychedelic dream-pop tunes in Oxford, and the band’s latest tour will bring those jams back to Mississippi in the form of a new album at 8 p.m. May 4 at The Lyric Oxford. The Baltimore-based band, which is made up of vocalist Victoria Legrand and guitarist-keyboardist Alex Scally, will debut its seventh album, “7,” on May 11. While working on the new album, the band expanded its music beyond previous limits of writing and recording sounds they could perform live and, instead, wrote whatever came naturally in the studio. “We’re inspired by everything, and we’re just living life and feeling changes in the world. Feeling darkness and feeling the light is one of the most inspiring things that pushes our band further,” Legrand said. The band is especially anticipating the audience’s response to hearing “Lemon Glow” and “Dark Spring,” two tracks that appear early on the new album, live for the first time. “Our live show is an opportunity to have a more immersive experience, and I think our music can be that for people,” Legrand said. Touring is one of the band members’ favorite aspects of their jobs because it gives them the opportunity to feel audiences’ energy and to create an immersive listening experience. Legrand and Scally have been working together for over 13 years, and they have released 77 songs together. They have developed a unique friendship that carries over into their on-stage performances. “Imagine your best friend in the world: It’s the person you can work with, share time with (and) share experiences of life with, and its intense, but its familial. It’s a lot of water under the bridge, because at the end of the day, it’s really just familial,” Legrand said. As the release of its new album approaches, the band expressed immense gratitude for the people that listen to its music and choose to attend its shows. The duo hopes that its audience genuinely enjoy the music.